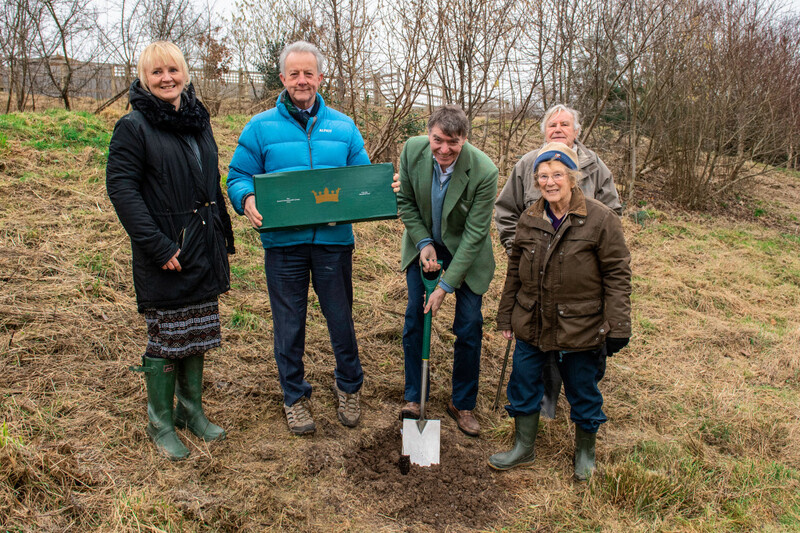 Five trees have been planted at the Ley Gardens sheltered housing development, Church Stretton, as part of the Queen’s Commonwealth Canopy. Philip Dunne MP and Duncan Forbes, Connexus Interim CEO, braved wintery weather to plant five trees at the Ley Gardens/Lawley Close sheltered housing development in the heart of Church Stretton. Tree varieties native to Britain were selected by the QCC, with the rowan, silver birch and hazel trees sure to add beauty and spectacle to the shared outdoor spaces enjoyed by residents. The Queen’s Commonwealth Canopy project was launched in 2015 with the aim of creating a network of forest conservation initiatives across the Commonwealth, raising awareness of the value of indigenous tree populations. This landmark project was discussed in a conversation between Her Majesty the Queen and Sir David Attenborough featured in last year’s ITV documentary The Queen’s Green Planet.